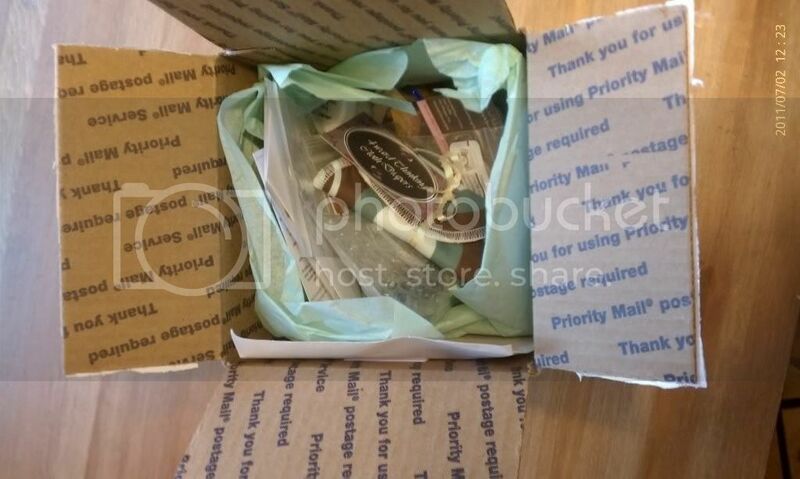 I have been interested in getting a Spotted Box for a while now, but I have felt a little apprehensive about spending so much on a box of samples. I finally decided that June was the month to do it! These little boxes sell out almost instantly, so stalking was a must. What is The Spotted Box, you ask? Well, it's a marketing device where businesses send in samples of their products in order to get exposure. In this case, "The Spotted Box is a box of family-oriented, eco-friendly samples from independent crafters." Each box may be slightly different. Some lucky customers may find full-size items in their box! (I know for a fact one lucky customer got a blue Ooga Booga OS AI2 in June!) You can buy a box for $12.50 or a mini box for $7 (plus shipping). I went ahead and bought a full size box. I justify my purchase because I love to support WAHMs (Work At Home Moms) and small businesses. That, and it was really exciting to stalk the box! 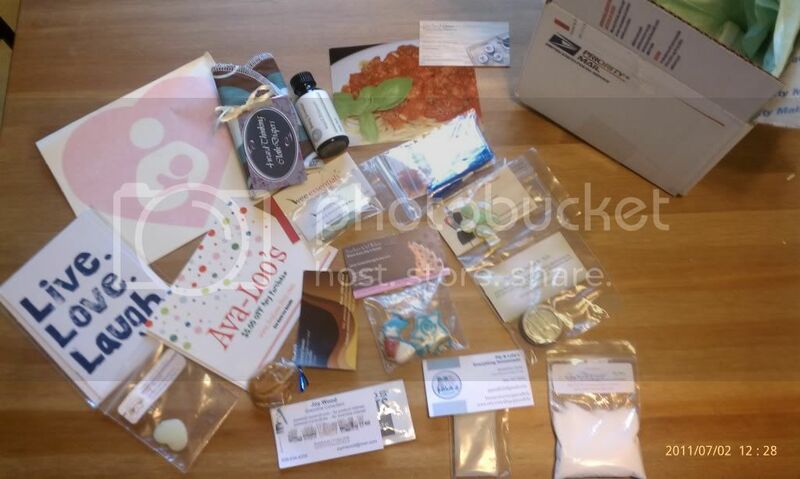 However, each month there are two chances to win a box, so you could be thriftier than I was! Check out the website and subscribe to the newsletter to find out about the box giveaways. The following items weren't labeled as to what they were. I need to go to the WAHMs' websites and see if I can figure out exactly what they are (but maybe that was their plan?). 1 Sample Vial of Something? What was I most excited about? 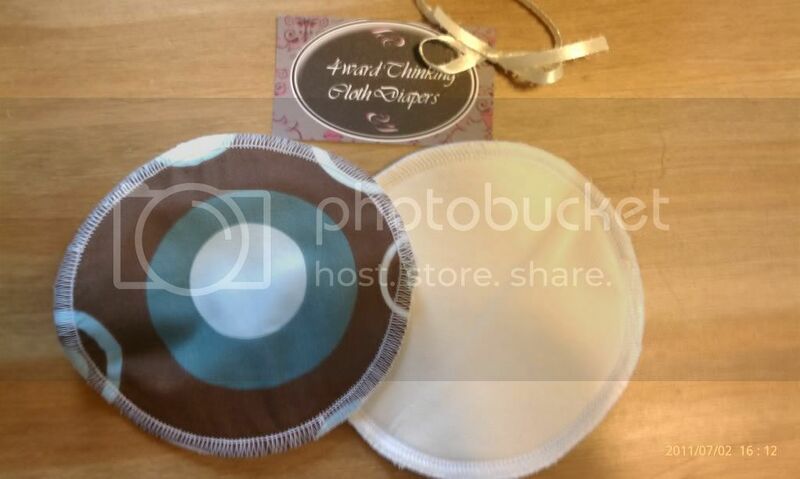 The Nursing Pads! I'd been wanting to buy more and so it was perfect timing. The Scar Balm sounds really interesting to try and I'm also looking forward to using the cute bow clip on my daughter when she gets more hair. I do feel like I got a really great box. There are only 2 or 3 things that I know I won't use. So in conclusion, it was really fun to finally get a box after wanting one for so long. I am happy with the contents and the variety of the contents. (And I am very very excited about a few particular items.) 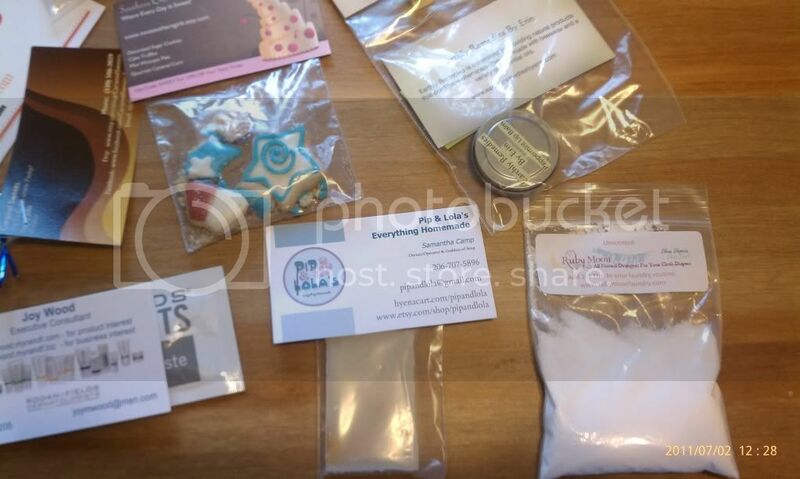 The Spotted Box would be a great treat for those who love natural products!